Installations of complete new heating and hot water installations to Part L specification in gas, oil and electric. All commissioned and certified compliant. Boiler upgrades from standard efficiency to high efficiency, new radiators, power flushing and treatment, energy efficient controls, unvented part L hot water cylinders. Gas fires installed, fire surrounds fitted, inset fires, space heaters, decorative fires and balanced flue gas fires for houses with no chimneys. We are installers of products from Alpha, Baxi, Remeha, Potterton, Firebird, Heatrea Sadia, Glow-worm, Grant, Ideal, Keston, Redring, Santon, Sime, Vaillant, Veismann and Worcester, including high efficiency combi boilers, heat only condensing boilers, biomass and combined heat and power. Renewables including solar thermal, solar photovoltaic, air source heat pumps, ground source heat pumps, solar cylinder and thermal stores, water treatment. Whatever the problem we have the solution. From a simple thermostatic radiator valve to a whole heating installation, we carry out the works to the highest standard, with customer satisfaction our priority. We are also specialists in boiler repairs and servicing and can offer repairs and servicing to gas fires, cookers and space heaters. 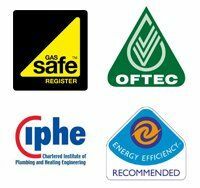 Please don't hesitate to use our contact details to the side of this page to find out more about the heating services we can provide you with.